Mr Basil questioned the role and official obligation of the PNG Electoral Commissioner Mr Patilus Gamato in independently overseeing the success of general elections. “Mr Gamato must be able to explain his organisations’ original advice and submission to the National Executive Council (NEC) that has provided the inspiration for these major proposed changes to PNGs election laws. Mr Basil says ‘the changes will have the effect of excluding many viable intending candidates interested in contesting the limited number of provincial and open seats in PNGs national parliament, not just in 2017 but beyond into future elections. Mr Basil also cautioned media agencies to encourage sound and accurate reporting of current issues such as all election-related matters ahead of the issue of writs. 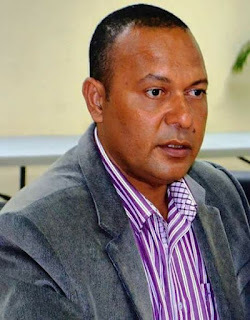 The parliamentary leader of Pangu Pati and current sitting Member for Wau/Bulolo Open, Mr Sam Basil says he is alarmed over the timing of the proposed changes to laws governing a key constitutional event like a general election and its institutional processes and requirements. Mr Basil said that PNG’s electoral calendar must not be politically engineered to undermine the constitutional guarantee of ‘free and fair’ general elections. The Deputy Opposition Leader cautioned PNG citizens to be weary of the proposed amendments to election laws that will have the effect of influencing the rights and choices of voters and the outcome of the general elections. Mr Basil warned all citizens to be vigilant in updating themselves with relevant information regarding their voting rights and privileges. He also reminded citizens that speculation about the role of the National Executive Council (NEC) in determining the changes to laws regarding elections are limited to suggestions or recommendations to parliament. On advice from NEC parliament then assesses the bills on their merits before voting for or against. Mr Basil told reporters that the majority of government MPs have been given ‘sweeteners’ to vote for the passage of bills that they don’t understand or care about. Those government MPs are only interested their own cut of already depleted public funds and not the broader implications of the laws they vote to enact and amend. “I want to say that the rampant abuse and mismanagement of public funds by the O’Neill/Dion government has had the effect of bankrupting PNG. Therefore, we can see the impact of this shameful negligence now on our constitutional offices, government departments and agencies that are failing to carry out their lawful duties. Mr Basil told a press conference in Port Moresby that only parliament has the authority to change existing laws governing national elections. This week’s announcement of the deferral of a major constitutional event such as the issue of writs is alarming and illegal. The occasion of a political election is a key event within all democratic nations that cannot be interrupted or manipulated to suit a single political agenda. The announcement by the PNG electoral commissioner to defer the issue of writs must be questioned by all Papua New Guineans who risk losing the integrity of their right to vote according to clear statutory and constitutional provisions that dictate the electoral calendar in PNG.